A few weeks ago, my car starts to have a big problem: it stopped in the middle of the road and are not able to start anymore. Spoiler alert: my timing belt has shifted and my motor was broken at this time. I start by having my car towed to my home and start search for the source of the problem. In this path, I asked myself if the fuel was going to the cylinder. First thing, I buy a nanometer to check the pressure of the fuel pomp. It looks OK, and after that, I wanted to check if I have one or more injectors are dead or clutched. I start looking for injector testers and given the price I wanted to make my own. I will start by explaining how an injector works. An injector is a simple stuff, its role is to release a quantity of fuel defined by the on-board computer in a cylinder at an expected time. On one side you have a pressurized fuel line and on the other a cylinder. The computer will open the injector for a little duration, some milliseconds, to let pass some fuel. To do this, the injector has two connections: one for the ground and the other for a voltage common collector (VCC). 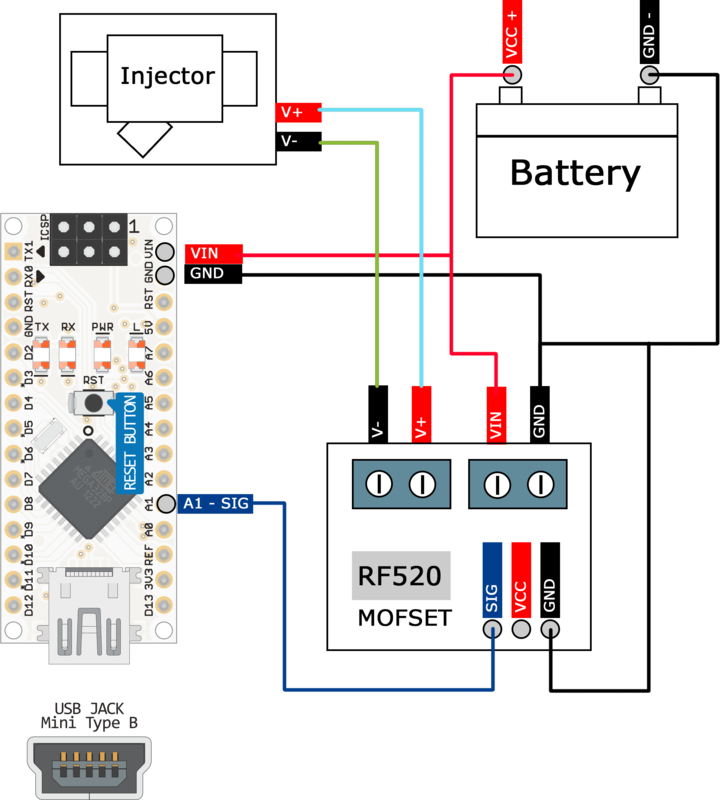 When a current is applied to the VCC, the injector let the fuel pass through them. To check if the injector is clutched, I needed to apply power (12 V DC) on each injector (individually) and look at the fuel jet. But it is actually not easy to remove an injector because there are on the back of the motor, additionally I didn’t want a fuel leak in the future. Another option, easier, is to apply the power for the same time on all injectors (one at the time) and to check the decrease of pressure in the fuel line with the nanometer. The decrease should be the same for each injector. I have opted for this option. To apply the power you can use a tester like the EM276 Fuel Injector Tester, it has 4 modes with different pulse duration. The tester is connected, on the one hand, to the car battery and, on the other hand, to the injector. In my case, I didn’t connect the tester directly to the injector pin but on the on-board computer connector, the connector is a lot easier to access. If, you want to know the proper pin to connect the tester take a look at the electrical diagram in the technical book of your car (the book typically cost 40 euros but is rapidly profitable) . 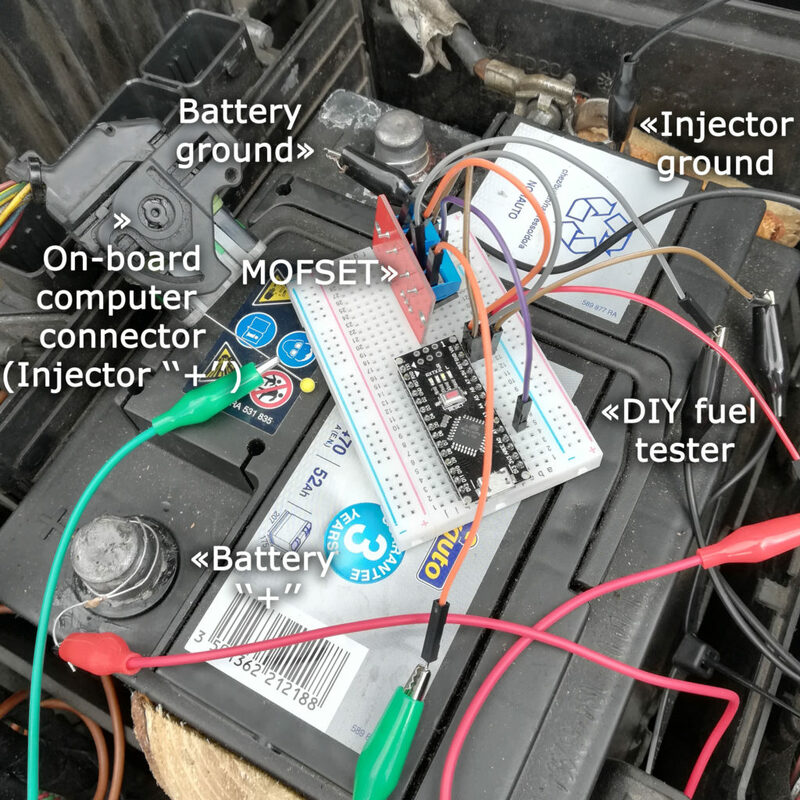 I didn’t want to pay 50 euros for a fuel injector tester and I have made my own using Arduino Nano and a MOFSET for less than 10 euros (and in bonuses it was easy and funny). Arduino is a little embedded system programed using a computer. A MOSFET for Metal Oxide Semiconductor Field Effect Transistor is used here to switch electric signals (the 12 V DC of the car battery). 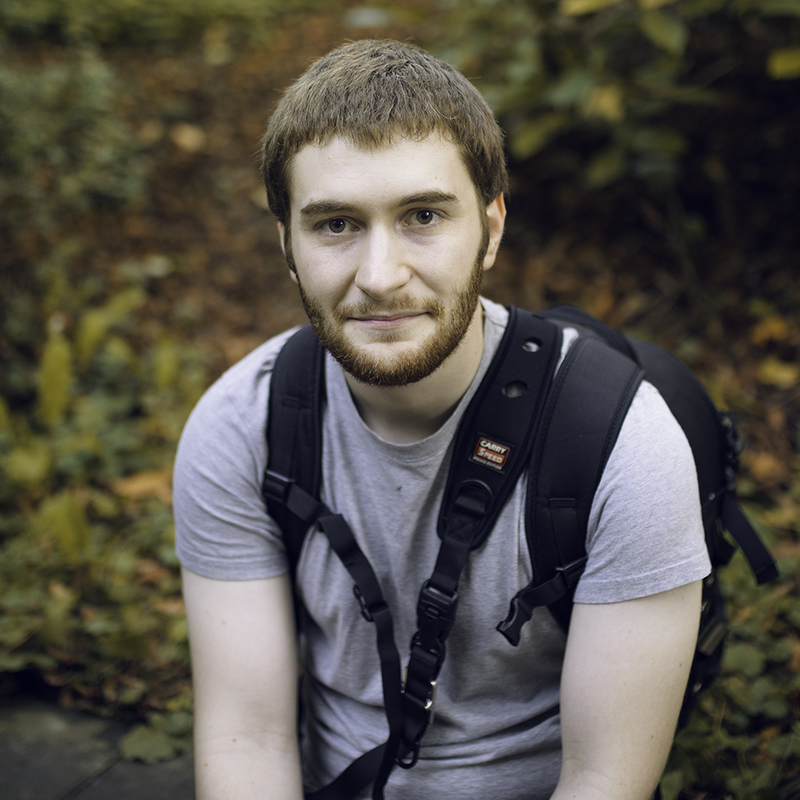 I have made a Github project with the source code and more technical information, feel free to check it. The result was good, I have seen the same decrease of pressure on the nanometer. At this time I was a little disappointed, I wanted to find the problem. After all, I found it some days later when I have made a cylinder pressure test. I have no pressure on all of my cylinder… the cause is simple, my timing belt has shifted and each cylinder head has beat into the exhaust or the air intake valve resulting in air leak in the motor. My car was good to go in a car breaker. It was the end of my first car, I was not easy to accept but all stories have an end and there were no injuries.